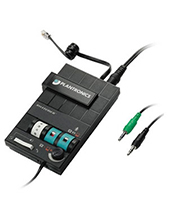 Plantronics Y-training Cable is a communication tool mostly used in contact centres in order for supervisors to be able to monitor and manage the calls of the agents. This is important especially in the training part of the entire contact centre processes for their agents. 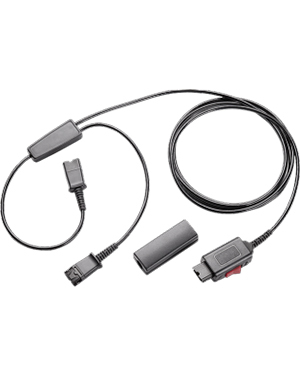 The Plantronics Y-training Cable is a connector that comes with a single headset adapter and two headset tops. Do you want more details about this device? Call the company today through Australia wide 1300 131 133! Plantronics is an efficient global leader in the business and consumer audio communications industry, specialising in providing and wholesaling wide selection of corded, cordless, Bluetooth, and gaming headsets, together with high quality solutions, from Unified Communications (UC) solutions to Digital Enhanced Cordless Telecommunications solutions, and small business communications solutions. Plantronics, since its establishment in the year 1961, has focused its efforts and operations in developing high quality lightweight headset in the year where the industry filled with big and bulky headsets. It has become a challenge for the company to be able to provide something new and innovative for the market in the process. Plantronics takes pride in being the one responsible for offering Neil Armstrong the headset he used when he became the very first man to step foot on the moon. In fact, he used a Plantronics headset when he said “One small step for man, a giant leap for mankind”. Headsetsonline Pty Ltd is an Australian supplier and wholesaler of business and consumer audio communications products and solutions that has been in operation under the guidance of a powerful and reliable enterprise that has been delivering headsets to corporate and government sectors since the year 1998. This has developed the company’s expertise in delivering what the customers need in response to their specific situations. Headsetsonline has a powerful product portfolio comprised of high quality products and solutions from Australian distributors. 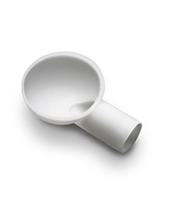 These products and solutions are Australian standards certified and are ensured to be high quality. They also have warranties that are covered Australia-wide and so customers won’t have any problem, wherever they are located all over the country. 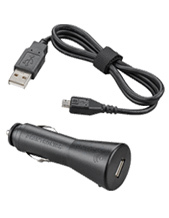 Headsetsonline uses its online store, Headsetsonline.com.au, to market products and solutions more conveniently to customers. The best part of this site is that it is enterprise-encrypted and secured, which means that customers can be rest assured that their information are all to be considered private.